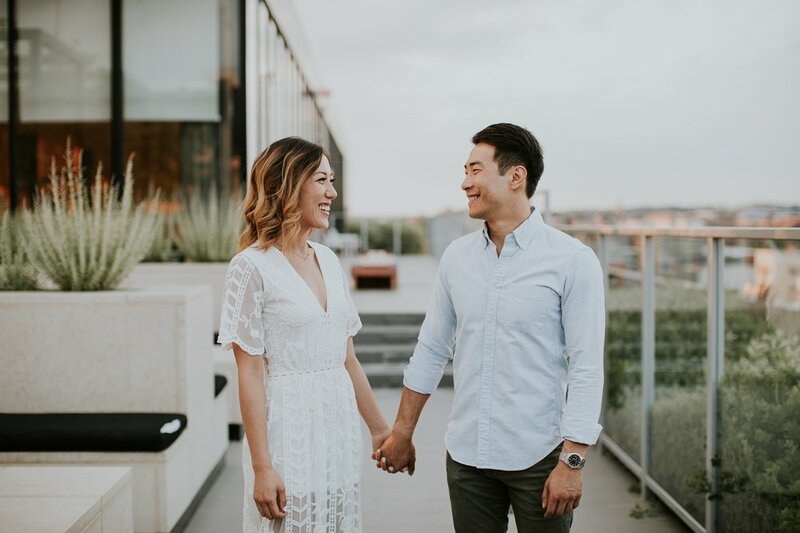 I really love it when my couples opt for an at-home engagement session, like Aileen + Clinton did! 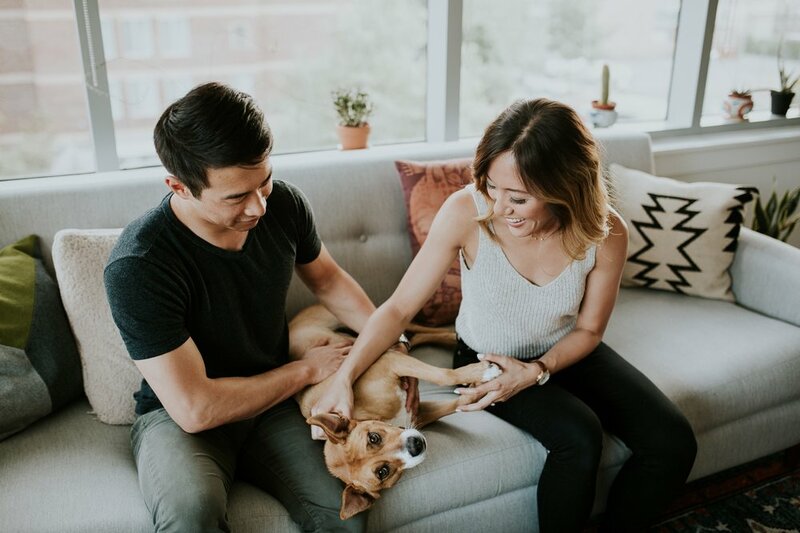 Lucky for me, this Washington DC couple has a beautiful home, great style and an adorable pup; all the fixings for a perfect at-home lifestyle photo session. 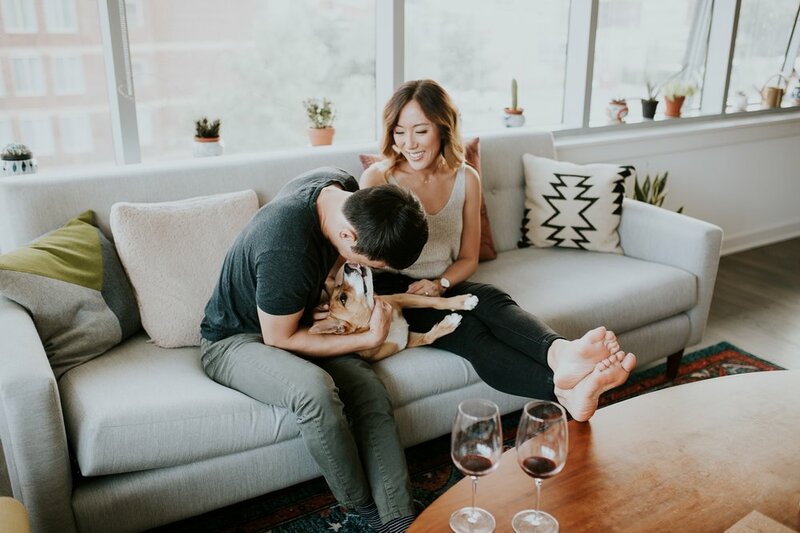 I love being able to document my couples doing real life stuff- whether that means opening a bottle of wine and making dinner together or simply hanging out on the couch, unwinding to their favorite Spotify playlist. Creating photographs in this type of environment allows me to get up-close and personal with my couples and to capture more genuine and authentic every day moments for them to remember. 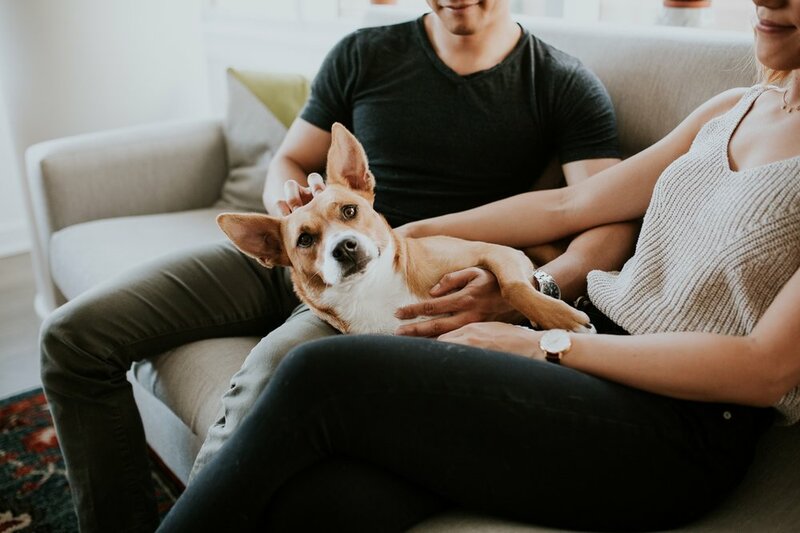 And even if they end up moving or this isn't their forever home, they'll be able to look back at these photos and remember where their story began before they were married.